News from Murray Norcross: On Friday, December 14, the Newport Fed Pie Run Committee gave $3000 to to our Youth Track Series fund. Dave Tetreault (center) accepted the check. Also pictured are Paul Simone (left) and Kevin McCarthy, CEO, Newport Fed Bank. Also attending the awards program were Ric Thornton, Murray Norcross, Ryan Blazejewski, and Ray Isacco. Over 1300 runners (and 500 walkers) participated in this year’s Thanksgiving day 5-mile Pie Run. 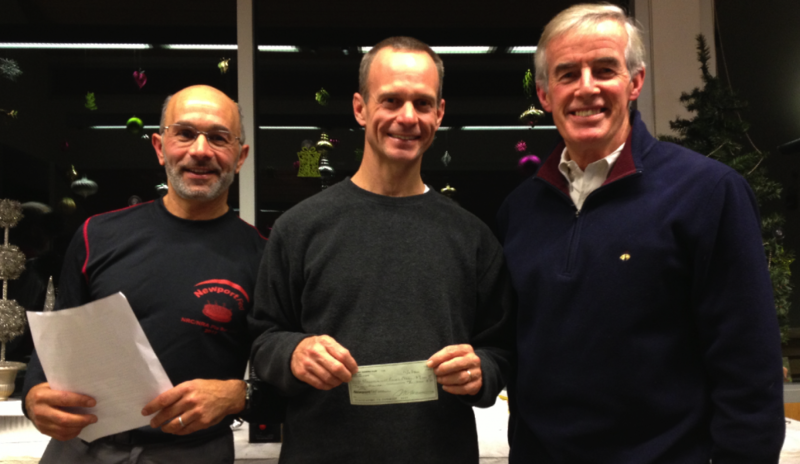 The Narragansett Running Association deeply appreciates this generous gift.